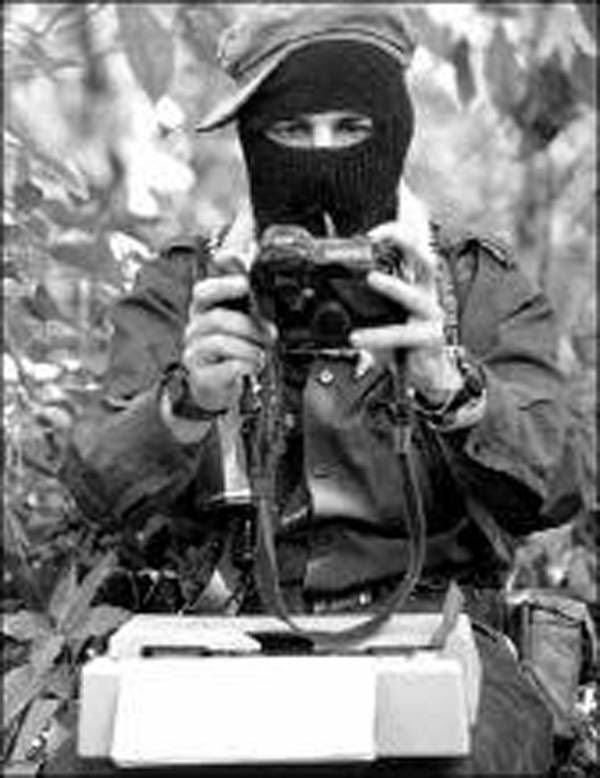 The peoples, nations, and tribes who make up the National Indigenous Congress and the Zapatista Army for National Liberation manifest our profound condemnation of the actions carried out in unison by the bad governments and criminal groups against the Nahua indigenous community of Santa María Ostula, municipality of Aquila, Michoacán, in an attempt to crush their dignified and historic struggle. These governments were not only complicit in the attack against Cemeí Verdía on May 25, 2015, but in fact freed those directly responsible, Juan Hernández Ramírez (then municipal president of Aquila) and José Antioco Calvillo. They [the government] imprisoned Cemeí Verdía on false charges and murdered the young boy Hidelberto Reyes García. The bad governments now intend to arrest commander Germán Ramírez, fabricating criminal charges against those who struggle to defend the land and their families. At the same time, we see the regrouping of members of the Knights Templar cartel who are already reorganized and heavily armed in the eastern part of the municipality of Aquila. The crime of the community members, the community police of Ostula, and the self-defence forces of the Sierra Costa of Michoacán was to refuse to accept the death and terror that the bad governments and organized crime in the region offered as the only option. In contrast, Ostula’s resistance and rebellion has not only shown us the dignity of an organized people, but demonstrated to the world that it is possible to build peace and justice in the midst of the destruction wrought by capitalists on this country. We denounce this new attack on the indigenous community of Ostula and hold responsible the bad governments, Enrique Peña Nieto, and Silvano Aureoles, accomplices of the Knights Templar leaders El Tena, El Tuco, Chuy Playas, and Federico González (Lico), who have been identified by the community on numerous occasions as those culpable of the murder of 34 community members and the disappearance of 6 more. We hold them responsible for the blood they want to see spilled in order to protect their capitalist businesses, for protecting instead of pursuing and arresting the Knights Templar leaders, for guaranteeing impunity to the soldiers who murdered the child Hidelberto, for seeking the dispossession of communal lands and natural resources at all costs, and for attempting to kill off the hope of this country that goes by the name Santa María Ostula. We express our respect for and solidarity with that community’s mobilizations and want them to know that at the collective heart of the National Indigenous Congress shines an intense light fuelled by Ostula’s dignity. We call on the originary peoples and civil society of Mexico and the world, on the national and international Sixth, and on the honest media to be attentive and in solidarity.